Name—this is the path to the log file. Warning! It is strongly recommended to save the log file on a logical disk which does not contain files you wish to recover. In Debugging mode, more detailed information about scanning progress and all performed program actions is saved. 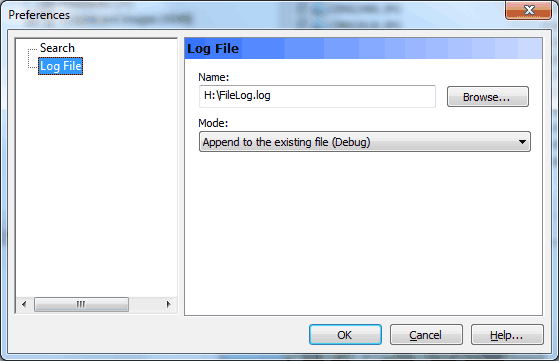 By default, a log file is not kept.